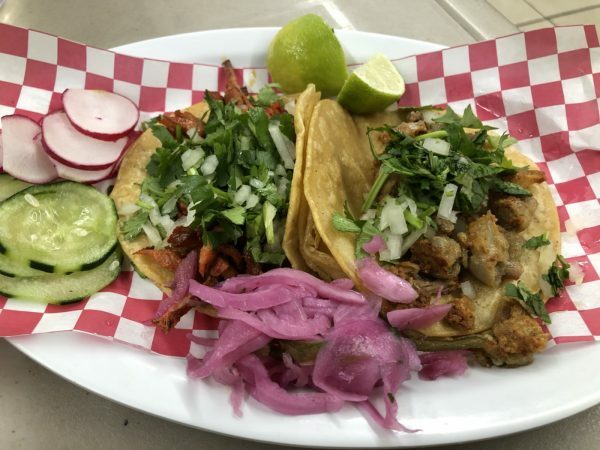 Mariscos El Tucanazo Restaurant: Another excellent Mexican seafood option in Wichita – Wichita By E.B. After eight years I finally completed what I thought would a decade to do, go to every single restaurant on Broadway. It feels like there are hundreds of different Mexican restaurants on Broadway but I may have saved one of the best for last. Mariscos El Tucanazo is a ‘Mariscos Mexicanos’ restaurant. 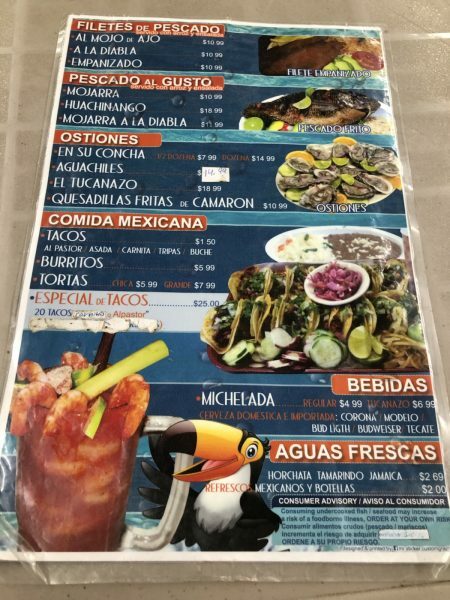 While they have many Mexican dishes on the menu, they are very popular for their seafood options. They also might be one of the very very very very few Mexican restaurants closed on Taco Tuesday. What gives? On my visit, complimentary chips and salsa were given. 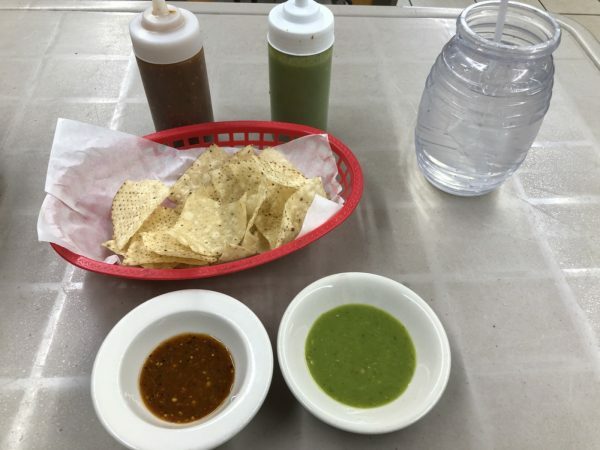 Their green salsa was some of the better salsa I’ve had around town. 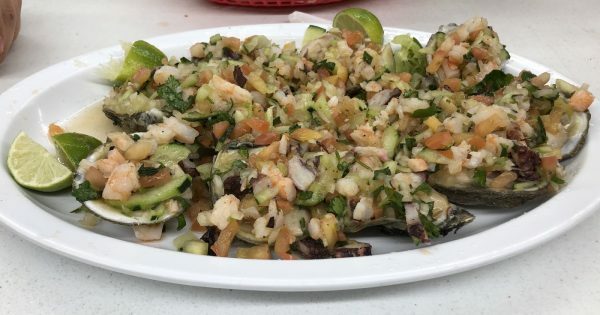 Like many mariscos around town, there were plenty of delicious options to choose from. I didn’t know what to get. One table by me recommended the oysters. They weren’t just any oysters, they were loaded with shrimp, pico de gallo, and cucumbers. They ordered it and it looked heavenly. The couple who shared it said it was one of the best dishes there and their favorite place for oysters. 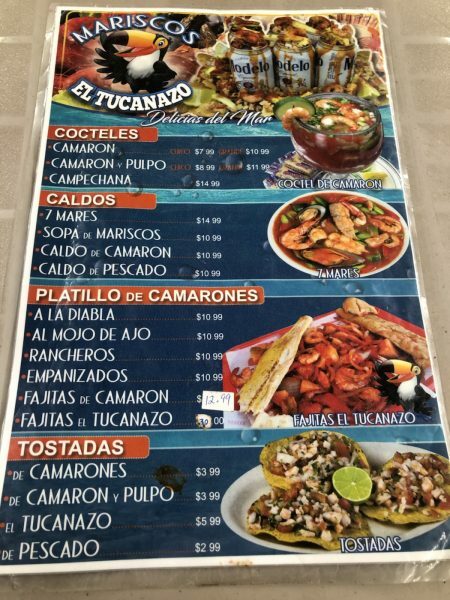 I asked my server what I should get and she recommended the most popular item on the menu: the tostadas tucanazo. She said it was your basic tostada but fully loaded with all shrimp and octopus. Not knowing how big it was, I ordered a couple extra tacos for safe measure. The tacos were alright. The tortillas were a bit tough and the meat was nothing to write home about. They were double-layered but one tortillas was enough. The real winner was what my server recommended me: the tostadas tucanazo. It was a heaping mountain of shrimp, crab, octopus, avocado, pico de gallo plastered on top of a hard tortilla shell. It was intimidating to look at. I had no idea how to eat it and my server said, “Just pick it up” so I did. With each bite, fish would come falling down like boulders off of a mountain. What I was able to catch with my mouth was incredibly delicious. The ceviche was amazing. I contemplated whether to order another round of it. 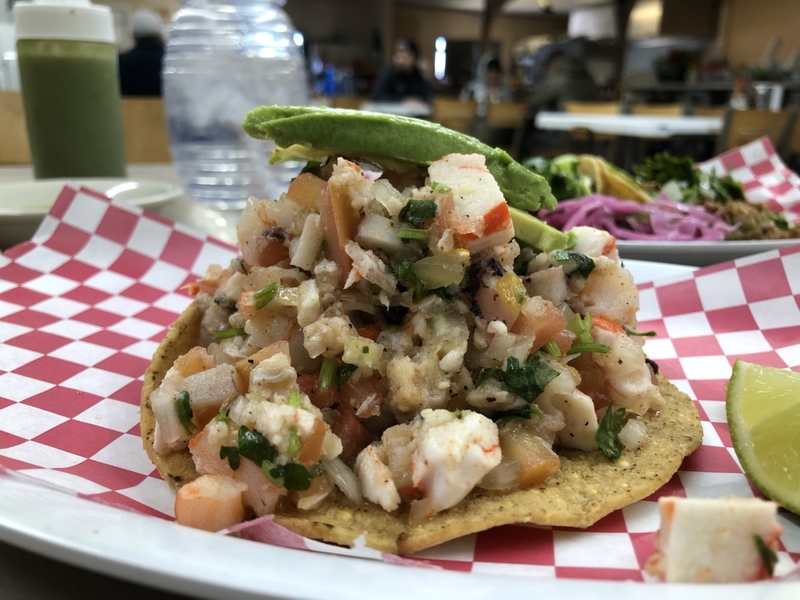 Not talked about often is the amazing mariscos Wichita has to offer. They all seem to be scattered throughout Broadway but are all great. 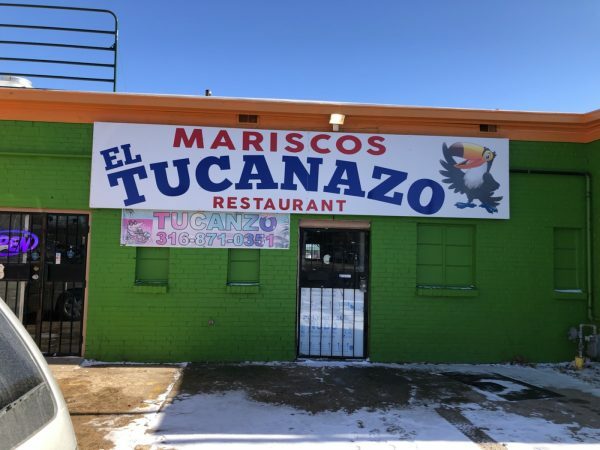 Mariscos El Tucanazo is just another great option in the long line of Mexican Seafood available. Great food, great service, you name it, they got it.